Each session typically runs one hour per week for six weeks with a different science topic each week. Programs can also be tailored to be as few as four weeks or as many as twelve weeks or more. Sessions can even be run consecutively to provide an entire school year of different classes, all just depending on your particular needs. We strive for a minimum of 12 students to conduct a class, and we limit class size to no more than 20. When there is large demand for the program, we can run multiple classes on the same or different days. Parents pay one fee per child for the entire program, and this one fee includes all of the instruction, materials, and take-home projects. In some cases, the school parent teacher organization partially subsidizes the program to reduce the burden on parents. In other cases, the organization charges slightly more and uses Mad Science as a fund-raiser. Note that we also offer flat-rate pricing for grant funded or subsidized programs. Per student and flat-rate pricing is dependent on the session duration and is available by contacting the office. If we register at least 15 paid students, we will offer a scholarship for a student who might otherwise not be able to participate in the program. If we receive 18 paid registrations, we will offer a second scholarship. If desired, we can handle all of the registration forms, rosters, payment processing, etc. to make the program as easy as possible to administer. Registration forms are preprinted color flyers delivered to the school separated into groups of 25 for easy distribution to classrooms. We can even set up secure on-line registration. Expedition Energy – Explore the energy in Light, Sound, Electricity, and more. Students learn how they interpret, or even mis-interpret, the world around them. They then use some of their own energy to explore the science of heat! Everyday Science – Explore Science as we interact with it every day! 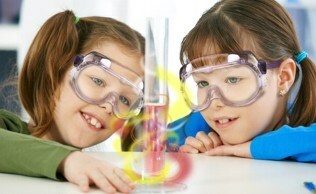 Investigate chemistry and the properties of the air and water that blanket the Earth. Have some fun debunking magic with Science! Science at Play – Explore the playful side of science. How do bugs defend themselves? What really happens when we cook? Students will examine the science in the kitchen and get a buzz out the amazing world of insects! World of Science – Explore a broad World of Science. Children will learn all about animals in general as well as the ecosystem of the sea. They will also explore how technology has changed our world in many ways. NASA: Academy of Future Space Explorers – Mad Science and NASA have teamed up to bring you the excitement and wonder of space in the NASA: Academy of Future Space Explorers After-School Program! The NASA: Academy of Future Space Explorers takes children on a voyage of discovery. Crazy Chemworks – Explore the chemistry of everyday life! Students will learn and apply the concepts, tools, and techniques of real chemists. Crazy Chemworks serves as the perfect introduction to elementary chemistry! 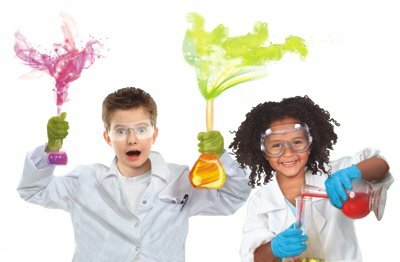 Call Mad Science today to find out how we can make your next after-school program a BLAST!